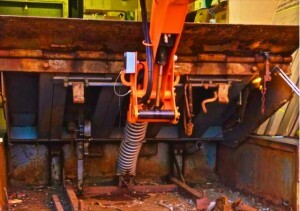 Machine Equipment Mechanic needed to finish this dock frame rebuild and hydraulic conversion installation in Depew NY. Mostly our business is the installation and service of trash compactors, loading docks and all sorts of related equipment. We also rent and refurbish trash containers. Generally, our company does all types of welding, installations, and hydraulic repairs. Our next hire would ideally be someone who can handle some of these repairs and installs on his own. Alternatively we would absolutely look at someone who has the raw talent, but little or no practical experience who could work as a Helper or Apprentice. Geographically we cover Rochester, Erie and everywhere in between. You’ll drive a company truck. We are a modest sized, second generation, family owned company. Demand is strong within the niche that we service. We need to hire good people to help us grow. Work with us and we will treat you like, …well …one of the family.